Welcome to 1544 Greer Ln! This is a rare opportunity to own an amazing home in the private subdivision of Signalwood. 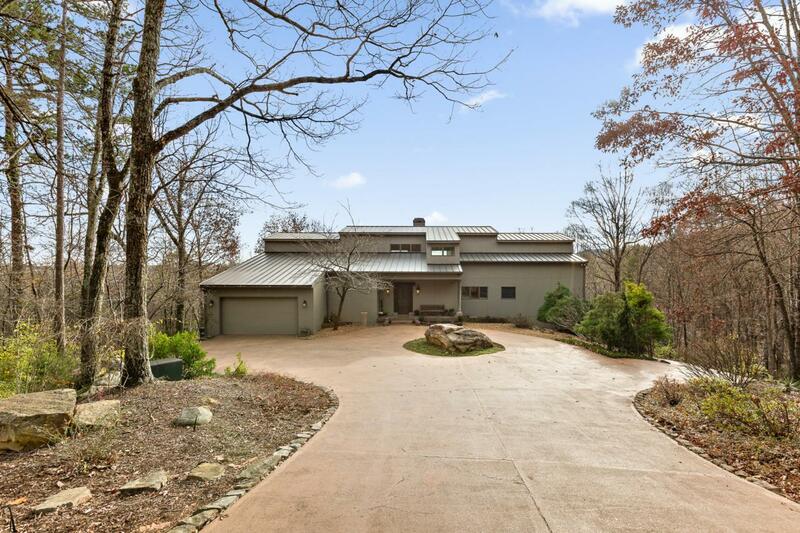 Situated on nearly 3 acres on the lower brow of Signal Mountain this home offers incredible views inside and out! As you enter through the custom hand carved door you are immediately surrounded by warmth and elegance. As you make your way to the great room you will notice soaring ceilings and solid hardwood floors that extend throughout the main floor. Big windows stretching along the length of the house giving you a million dollar views in every room! The gourmet kitchen is everything you could dream of with an oversized built-in Sub-Zero refrigerator, a massive island, custom cabinetry, all with beautiful granite tops, and a walk in pantry lined with shelves.The master suite features a bathroom with a jetted tub looking out to relaxing views of the surrounding mountains and a tile shower with steam! The master closet is almost indescribable with a sauna, Sub-Zero refrigerator, and all the space your heart desires! The second floor features three bedrooms, two bathrooms, and a bonus/media room. The expansive back deck overlooks the beautifully landscaped yard and acreage. It also has a fireplace and a dedicated gas line to the grill! Crystal clear well water flows throughout the home with advanced water filtration so you can drink from the faucet without worry! A state of the art 'Breath Easy' air purification system ensures that every breath is crisp clean air! You will never have to worry about a loss of power with the whole house generator! This is a beautiful home with an expansive list of top of the line upgrades. Call to schedule your private showing today!